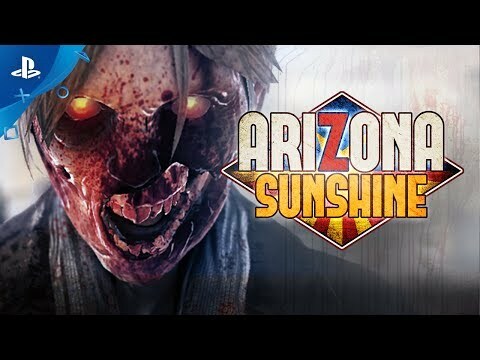 Arizona Sunshine puts you in the midst of a zombie apocalypse, exclusively in VR. Handle weapons with real-life movements, freely explore a post-apocalyptic world, and put your survival skills to the test with PlayStation®VR - putting the undead back to rest is more thrilling than ever before. Start out with only one flashlight and think tactically to defend your hideout in this utterly dark new map set in the depths of the Old Mine. Unlock new areas to find new weapons, ammo and tactical positions in this ever-expanding new map that brings you and a whole lot of zombies to Las Vegas, Nevada. Ultimate survival challenge: Fight a brutal, unstopping onslaught of zombies for the ultimate survival challenge in Undead Valley and leave your mark on the leaderboards. 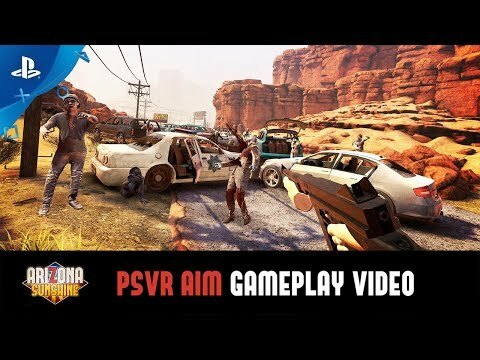 Using the “PS Move” motion controllers or the “PS VR” Aim Controller, handle a wide range of weapons with real-life movements. Anticipate attacks, manage ammo and aim down the sights to blast your enemies to undead pieces. Scavenge the environment, loot undead enemies and manage your ammo and consumables in a battle for survival more immersive than ever before thanks to VR. 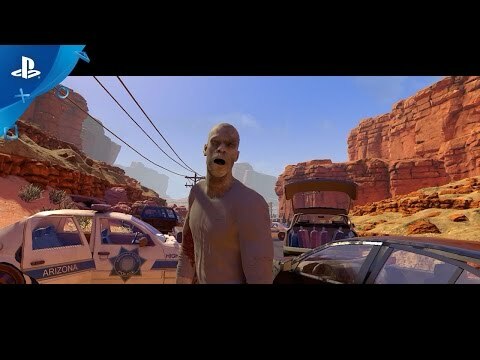 Built in bite-sized VR chunks that together form a full narrative, the campaign allows you to jump in for a short session or stay for the complete ride. Join forces with a friend in co-op campaign mode or multiplayer Horde mode for up to four players. But beware, more warm brains mean more hungry undead. Move around without restraints to explore a series of huge southwestern American environments, including treacherous canyons and deep, dark mines. © Vertigo Games BV. Developed by Vertigo Games BV and Jaywalkers Interactive. All rights reserved.